It is a broadly accepted fact that everything on the planet is better with crust. Tarts? Crust. Pizza? Crust. Empanadas? Crust. Quiche? Crust. Universally, crust is the great enhancer. Any of those savory or sweet addictions is merely a filling or topping without crust. And while the filling might be over-the-moon good, it reaches sublime when you add a tender, flaky pastry. 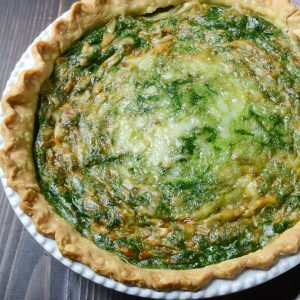 It’s true for this mostly homemade spinach gruyere quiche! Which is why my whole love/hate thing with pastry really vexes me. I love it so much, but my success has been marginal. It always tastes good, but it never seems to look as pretty as I want it to, though I have to say, I think I’m getting better. Because of this blog, I’ve really been making an effort to improve. And (knock wood) I think its paying off. None of which matters the slightest for this particular dish – because I cheated and used a ready made pastry (thank you Pillsbury). I made this quiche for my grandparents. I visit regularly with them and usually make a soup or other portable main course that we can munch on while catching up. 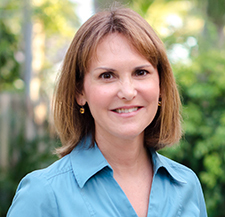 Quiche is one of their favorites — and one of mine, too. This one in particular got rave reviews. I think it’s the ratio of gruyere-to-spinach filling. Cheesy enough to create long oozy-stretchy strands when you cut into it (I love that). It’s also green. Really green. Intensely kelly green, thus perfect for Saint Patty’s Day! Theoretically, this should feed six people, but I’ve found that four hungry diners can polish one off – lickety-split. Serve with a side salad, crust of bread and a chilled sauvignon blanc for a really special weekend lunch or brunch. 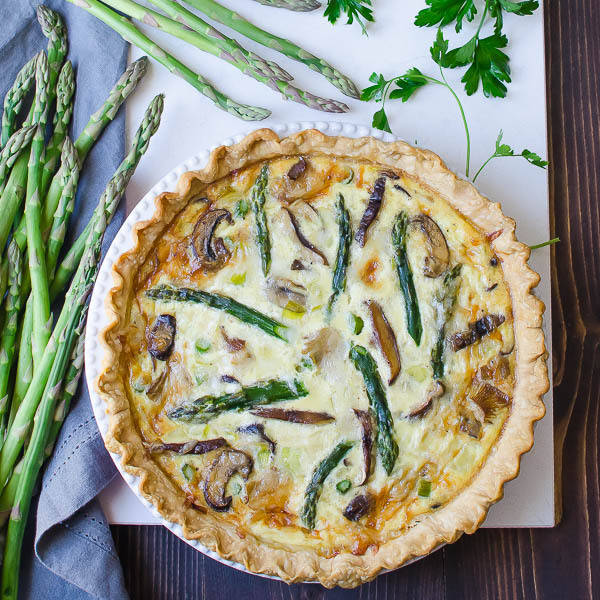 This gorgeous quiche can be made ahead of time and reheated. It travels well and is perfect for a vegetarian option at brunch or lunch! 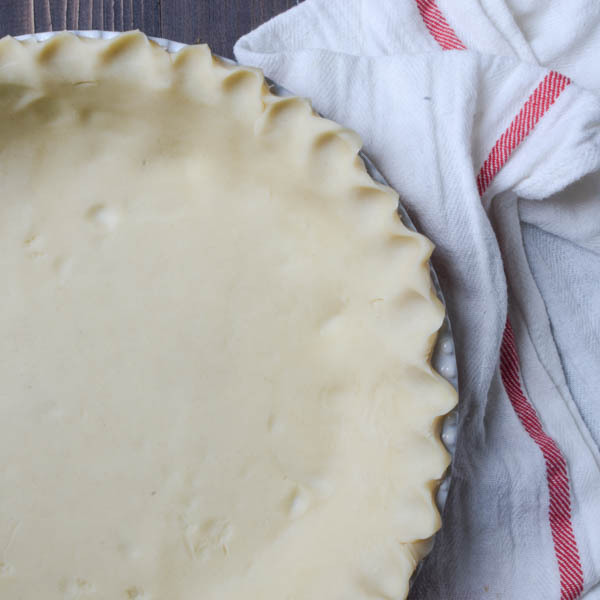 Arrange the pie pastry in a pie pan, pressing firmly on the bottom and sides of the pan. Fold any overhanging edges of the pastry under itself and using your fingers or the tines of a fork, press the edges to form a decorative rim. Refrigerate until ready to fill and bake. Squeeze all the excess moisture from the thawed spinach. Set aside. 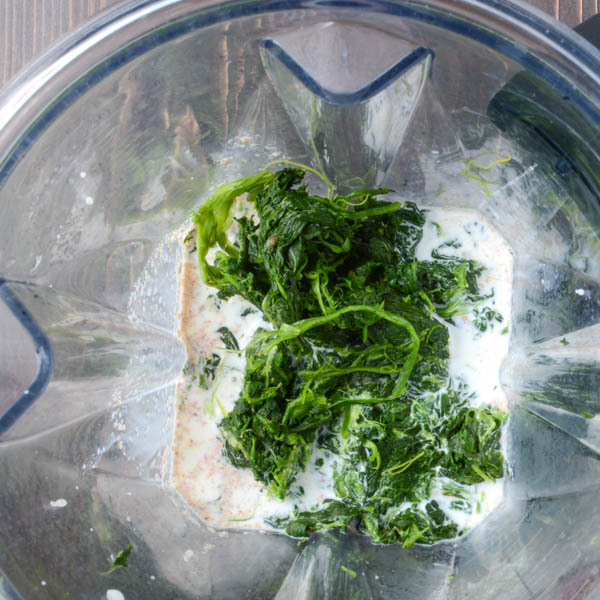 If you have a high-powered professional blender (like a Vitamix) place the eggs, half and half, nutmeg and spinach in the blender and turn on low, gradually increasing the speed until emulsified and bright green. Pour the mixture into a large bowl. Season with the salt and pepper and stir in 1 cup of the cheese. 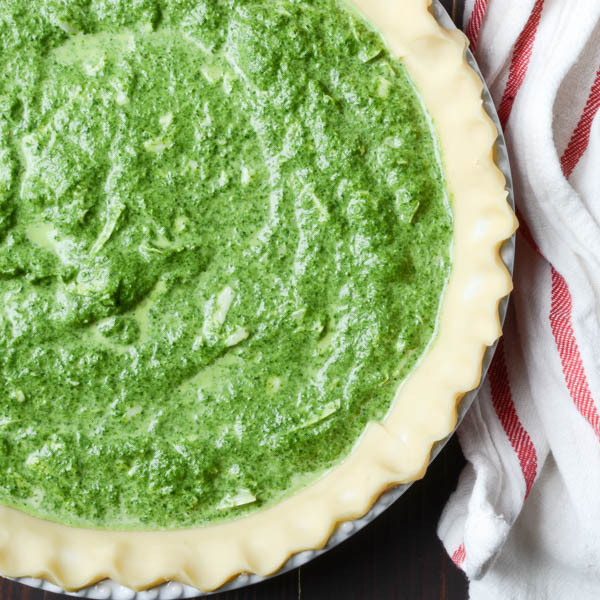 Transfer the spinach mixture to the pastry shell. 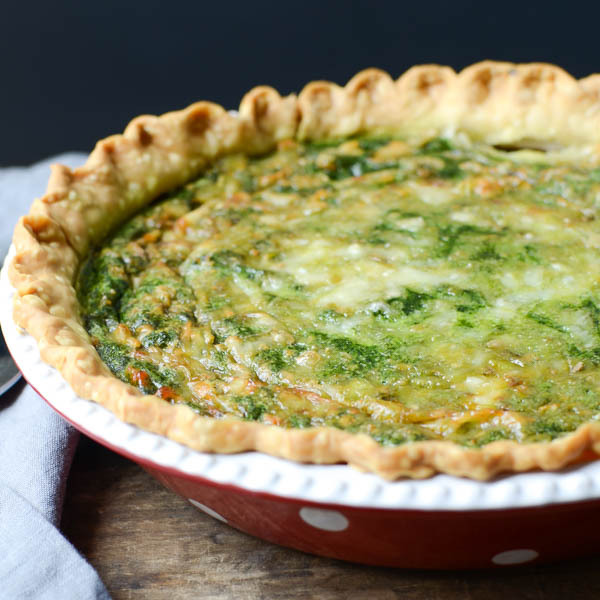 Sprinkle with the remaining cheeses and bake for 40-45 minutes or until quiche is set. Let cool for 20 minutes before cutting. Finely chop the spinach. 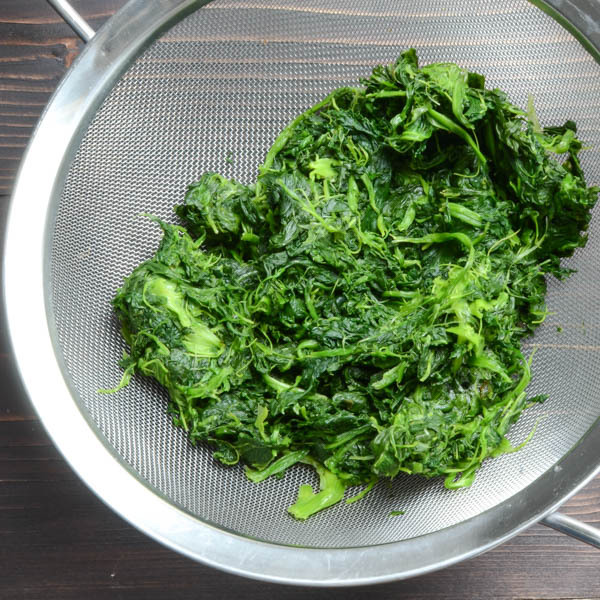 Whisk the eggs and half and half in a large bowl until well combined, then stir in the spinach, nutmeg, salt and pepper. Stir until well combined and proceed with the recipe. 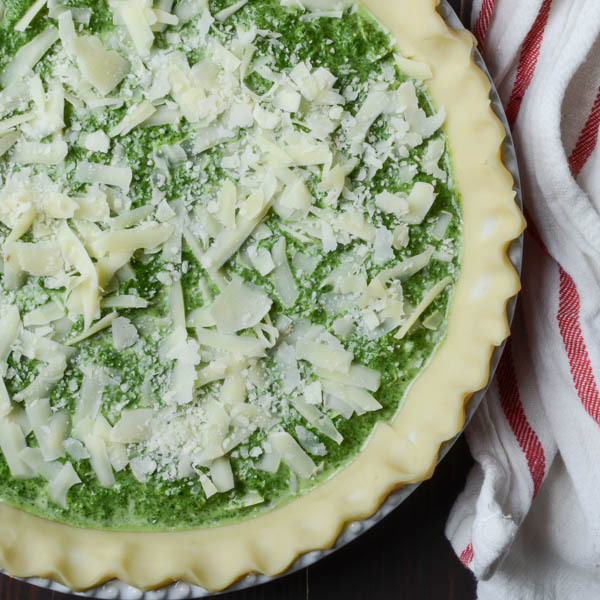 The processing power of a professional blender is what lends the bright green color to this quiche. Chopping the spinach by hand won't achieve the same look, but the flavor will be delicious. 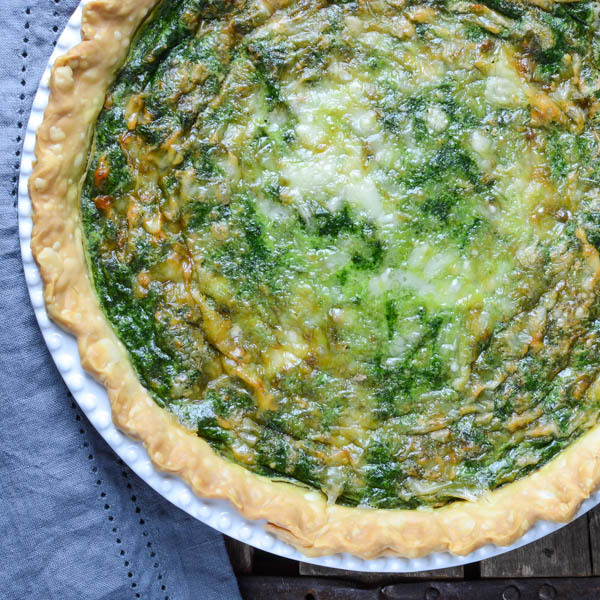 Pin “Homemade Spinach Gruyere Quiche” For Later! 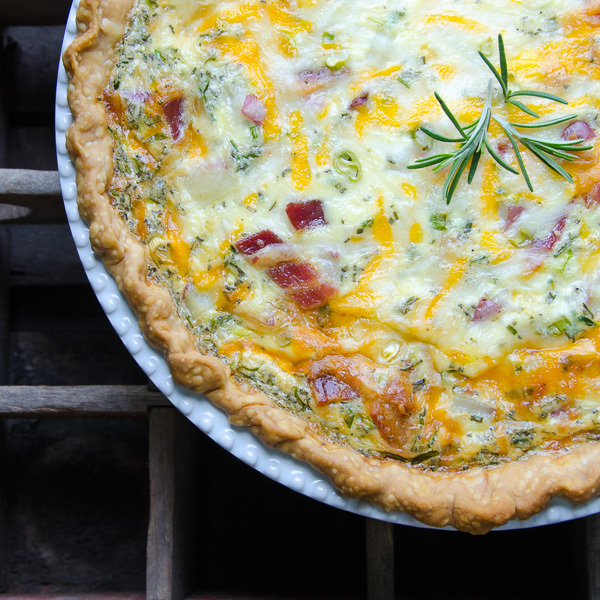 I love the texture and color of this quiche. You cant go wrong with spinach and gruyere! Nice. The key to both the texture and color are a really powerful blender. I use a VitaMix, but I’m sure there are others that would work as well. I’m glad you like it — this is one of our favorites! I’ve never tried this but it looks super good!! Saving this to make later! Thanks!! Looks Delicious! I love anything that has spinach! All of my favorite things! This is a beautiful and delicious recipe! This looks delicious Lisa. I love a good quiche! You had me at gruyere! Would be perfect for brunch this weekend. I know, it’s sooooo good! Thanks for your comment Jacquee! I have a kitchen aide blender… is that powerful enough to maintain the beautiful color you have showing? It looks amazing! only one way to find out! I have a VitaMix, which basically turns concrete to sawdust. I’m sure the kitchen aide would chop it pretty finely! Looks yummy! I cant wait to try this receipe! This looks like such a simple recipe, and it’s a beautiful dish! I love to bake from scratch, but I have never made a quiche. This will be on the menu at my next hosted brunch. Thanks! 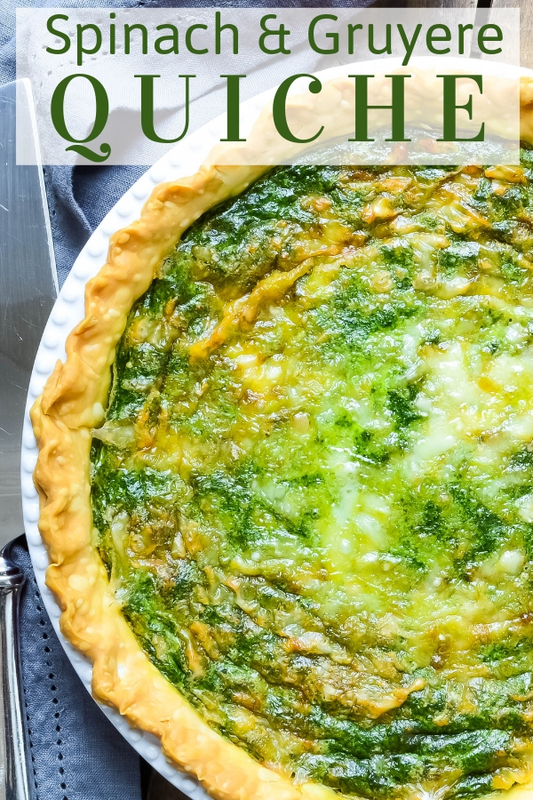 Quiche is simple and delicious — which is why they’re so popular at my house! Bookmarked this page so I can try and make it this weekend! It just looks so delish and the your suggested servings to pair alongside sound like meal perfection. 🙂 Thanks! So glad you like it, Beth. When I served it to my grandparents – they raved! 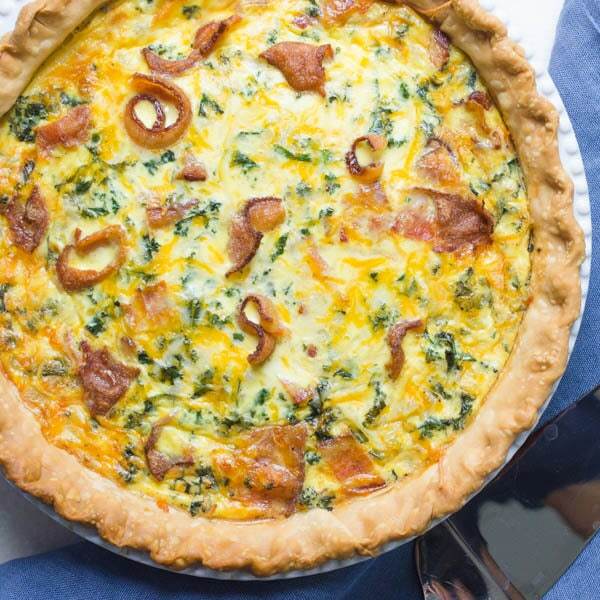 I haven’t had quiche in a long time time but this looks really delicious! Thank you Chris. It’s definitely on my top 5! This is so gorgeous! And I’m so with you on crust making everything better but being a ridiculous challenge. I love making it, but the first time I watched my perfectly fluted pie crust practically melt in the oven, I could have wept! 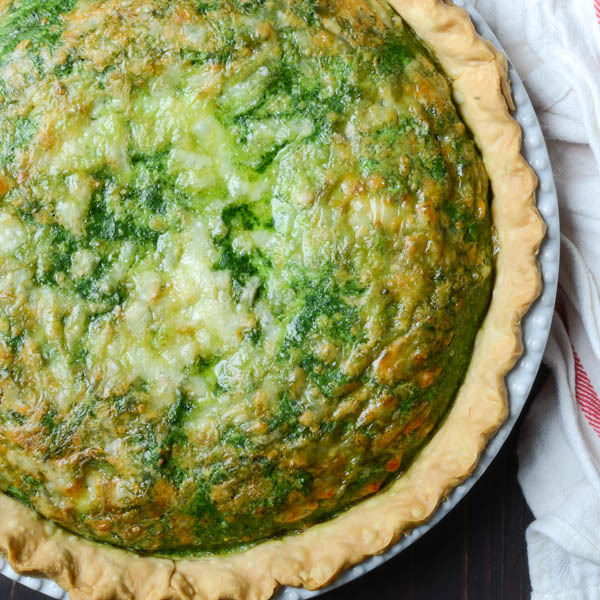 I love the bright green of this quiche. Can’t wait to try it. Us pastry-challenged folk need to stick together! I love quiche! This one looks so good! I love quiche too, Marsha! There’s a bevy of them on this site! 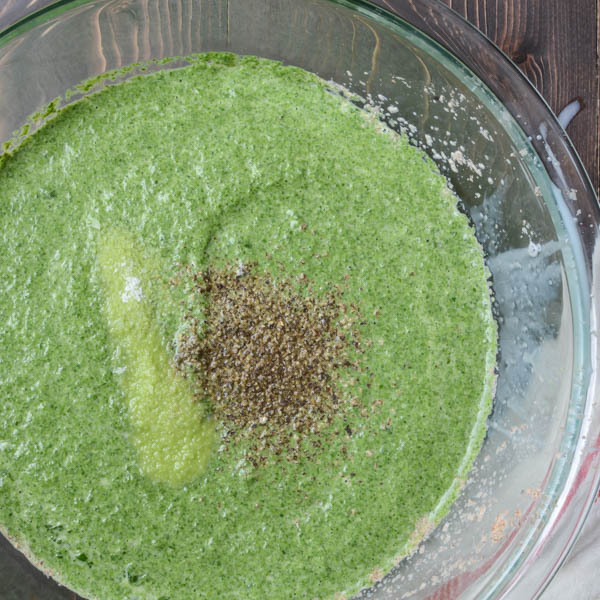 It’s good – and you can get that bright green if you have a good blender! What a perfect recipe for lent. I love making quiche they are so simple and so good. 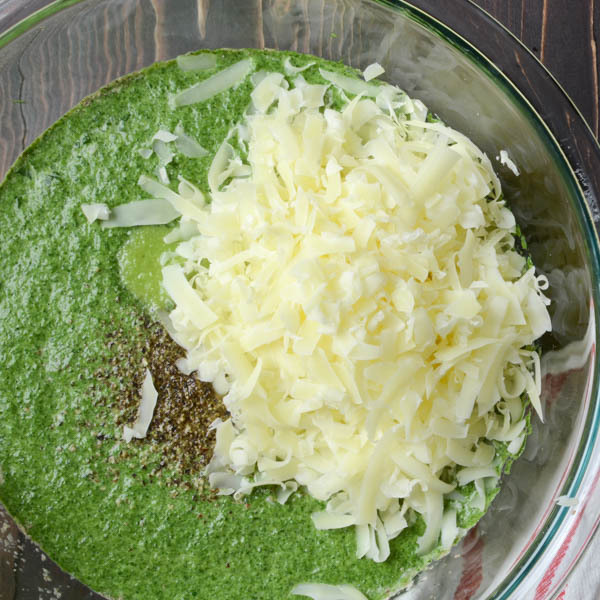 Spinach and gruyere – what a wonderful combination. This looks delicious. I’ve also made it with Comte and Emmental to outstanding results!